Saxon Shore Fort built around AD 200 as part of a chain of forts along the southeast coasts to protect from seaborne raids. 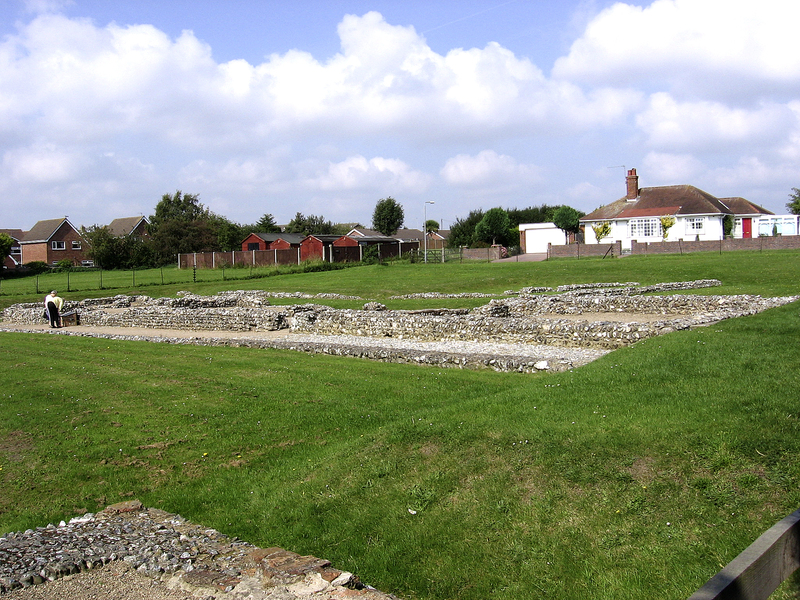 The site was abandoned by the Romans in AD 410 when the Romans left Britannia. It was reoccupied in the Middle and Late Saxon periods (AD 650-1066). The fort walls were demolished around AD 1600. In Roman times there was an inlet from the North Sea where Great Yarmouth is today and the fort here guarded the entrance inland with Burgh Castle fort on the other side. Guardhouse and a section of wall foundations of this square-shaped fort are all that are on display at this site. Most of the fort remains lie buried beneath modern housing.